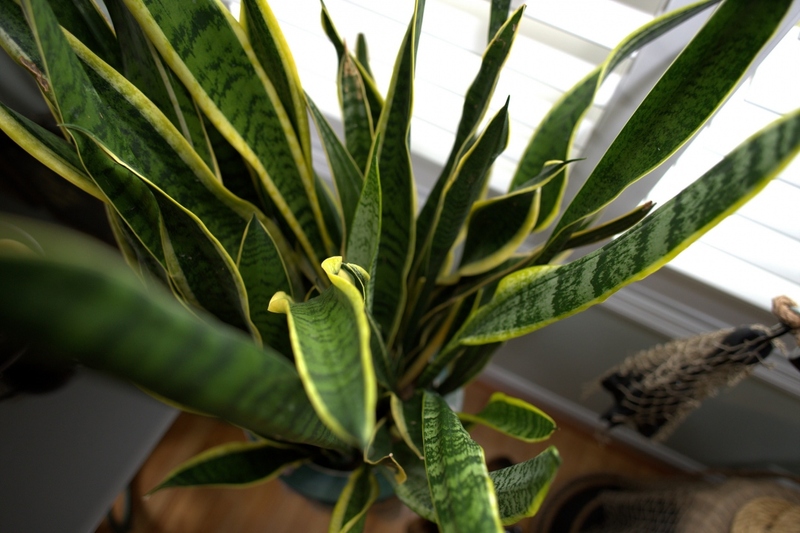 Snake plant (Sansevieria trifasciata): growing, planting, caring. Why this plant is called « mother-in-law's tongue » is a wonder. Sansevieria trifasciata - the snake plant - is a species of flowering plant in the family Asparagaceae native to tropical West Africa, most commonly used as an ornamental plant, outdoors in warmer climates, and as a houseplant cooler climates. It is an evergreen perennial forming dense stands, spreading by way of its creeping rhizome, with stiff leaves growing vertically from a basal rosette. Numerous cultivars have been selected, many of them for variegated foliage with yellow or silvery-white stripes on the leaf margins, including 'Compacta', 'Goldiana', 'Hahnii', 'Laurentii', 'Silbersee', and 'Silver Hahnii'.